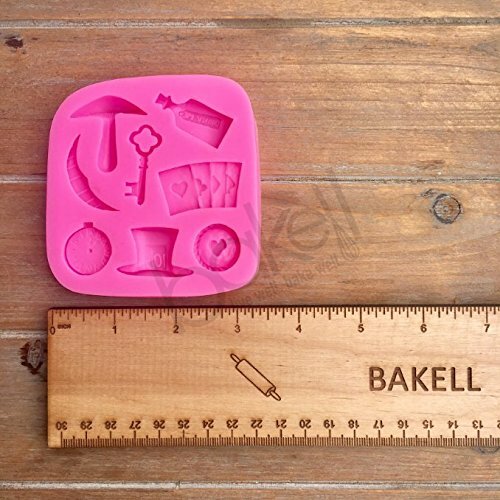 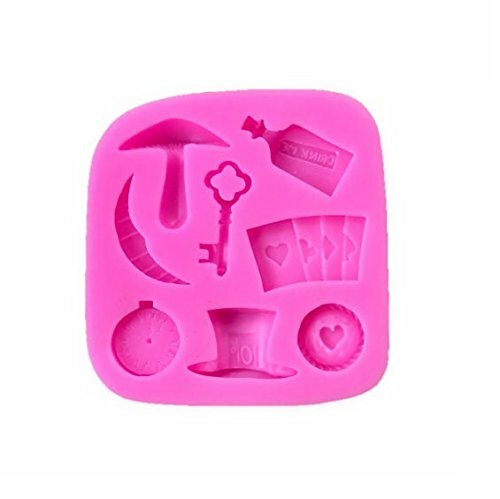 Silicone mold to make fondant, chocolate, sugar dress, cake lace, ice, and more in Alice in Wonderland shapes: a mushroom, Cheshire Cat smile, key, 'drink me' bottle, pocket watch, top hat, playing cards, or heart. 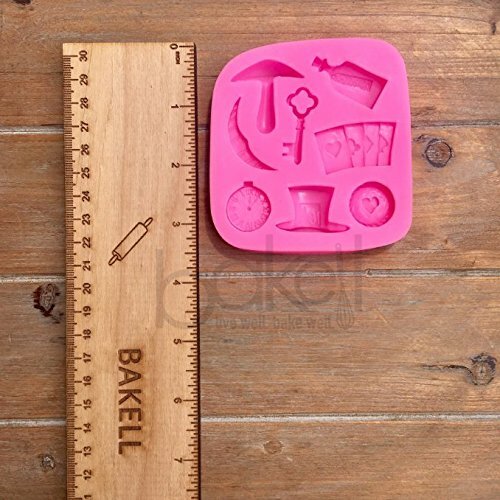 Size: 3 1/2" x 3 3/4"
resistance. 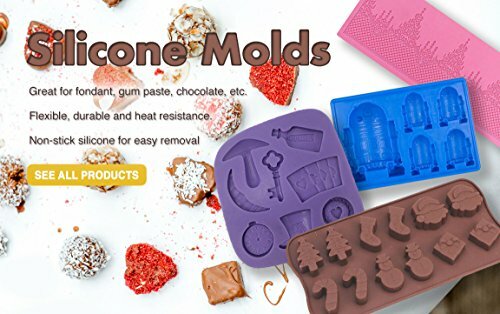 Non-stick silicone for easy removal! 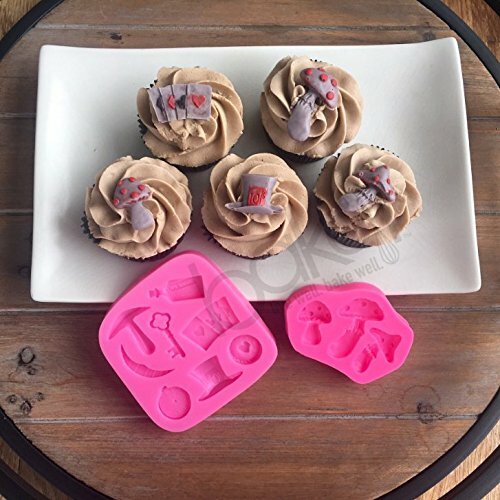 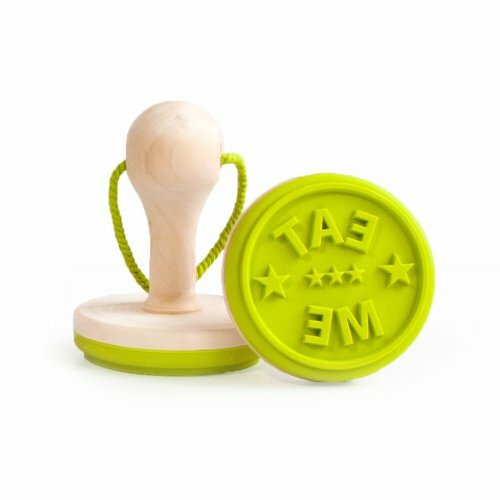 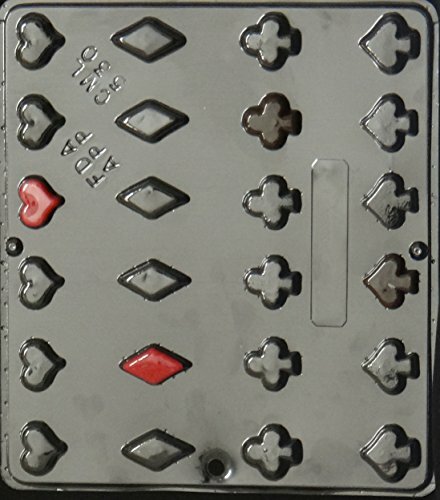 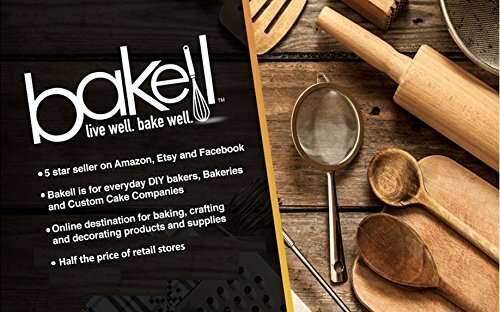 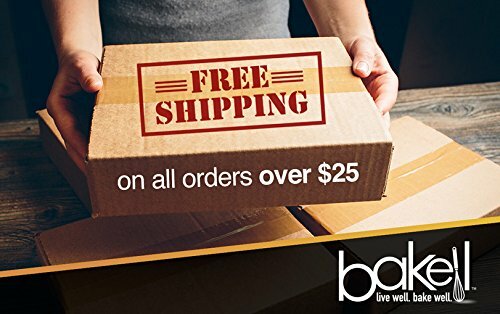 High quality custom silicone molds from Bakell – This Decorating Mold is our #1 Best Seller! 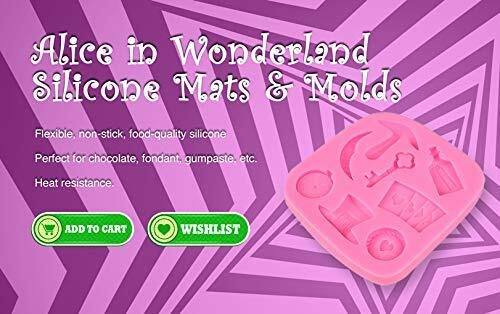 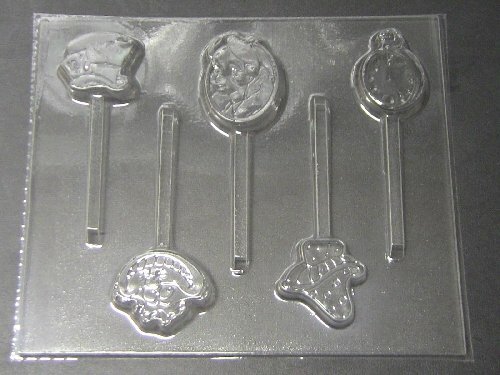 Candy mold that helps you create chocolate or other candy lollipops in the shale of Alice, the Cheshire Cat, the Mad Hatter’s hat, a pocket watch, or a mushroom. 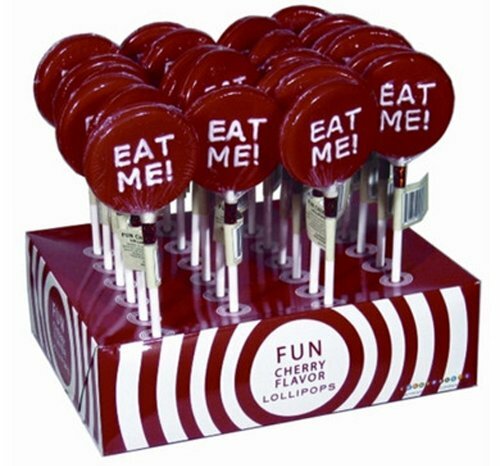 24 Cherry flavored lollipops with the words “Eat Me”. 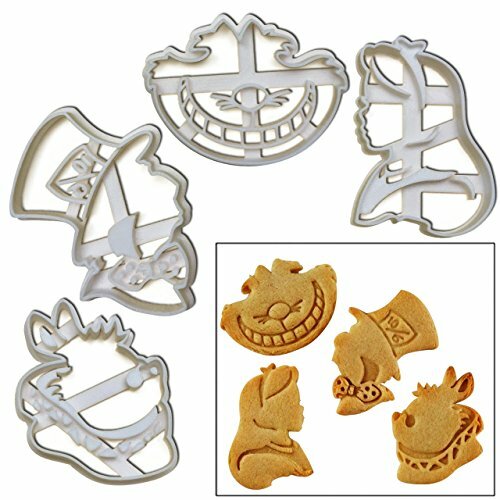 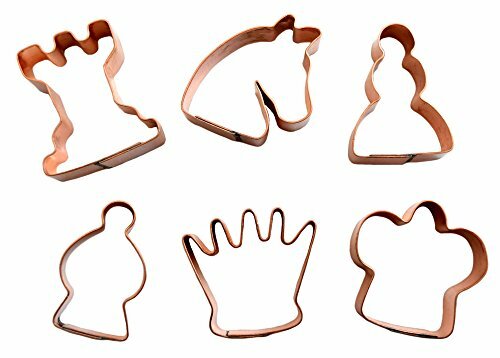 Set of 4 cookie cutters in the shape of Alice, the Mad Hatter, the Cheshire Cat, and the White Rabbit. 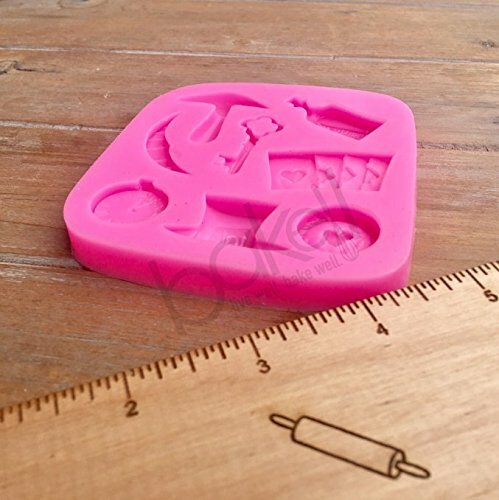 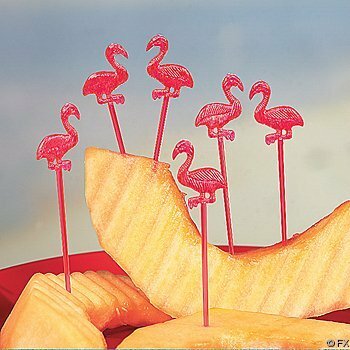 They can also be used for cutting fondant, cheese, clay, etc. 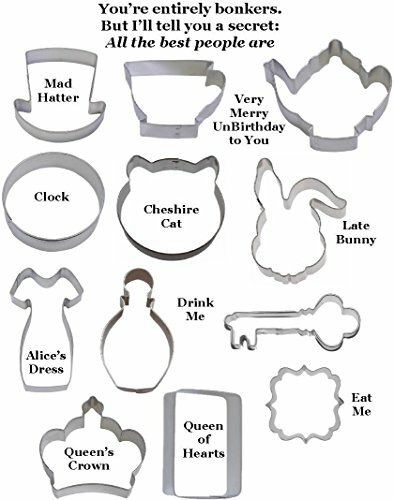 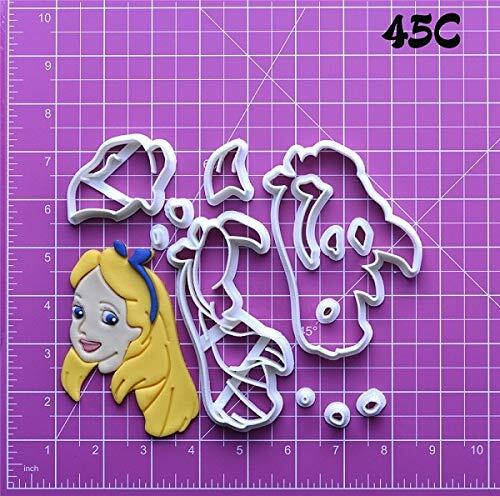 Cookie cutter set that helps you create Alice’s head in several layers.